It doesn’t take much deep reading to understand that the retail industry has some stuff going on. And it’s not all that easy to decipher….headlines range from store closings and bankruptcies to store openings and expansions, to some creative mergers and acquisitions. Some of the more interesting recent news highlights online players getting into brick and mortar, while traditional physical store players delve into the e-commerce world. What can we expect next, or maybe more broadly, what can we expect from the ongoing evolution of the retail industry? Well, my scoring system on this isn’t so different from Olympic ice skating – throw out the high and the low extremes (e.g. “retail is dying,” “we’ll be 100% ecommerce soon,” “malls will cease to exist,” etc. ), and you’re usually left with a more cogent picture. And the more cogent picture seems to be that the most innovative, forward-thinking players are opting for a hybrid approach – one that combines certain elements of an online presence alongside a strong physical presence – to deliver the best holistic, overall experience to their customers. 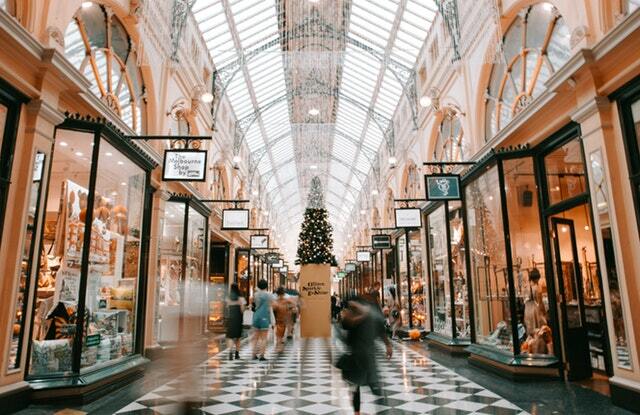 In fact, not only is brick and mortar not “dying,” it sure looks like it is being used as an offensive weapon in these new strategies – something that uniquely contributes to a more modern and fulfilling customer experience. Now, there is no doubt that the role of physical stores will evolve – driven in many ways by technological advances – in commerce, in asset management (powered by the Internet of Things), in visualization and 3D modeling, and in new types of data analytics and artificial intelligence to help manage things more proactively and efficiently, and even with new ways to handle payments. Does Retail Transformation Mean Facilities Transformation? OK, so how does this all apply to the retail facilities manager, and to the service providers who deliver the local services to retailers, restaurants, and other distributed, multi-site organizations? Well, distributed organizations (like retail and many other industries) have a unique facilities challenge – to maintain their properties via a virtual workforce of local and regional independent contractors who actually aren’t on the company payroll. And that maintenance and upkeep has been done a certain way for a long, long time. Chances are, that as the industry evolves, it’s going to have to be done a different way – a way that is more proactive, efficient and modern, more transparent and data-driven – if it’s going to contribute to the positive transformation of the industry. And guess what – the facilities manager is going to be at the center of the action, and has the amazing opportunity to turn facilities into an offensive weapon for the organization. We estimate that there are about 2.4 million “retail-like” facilities in the U.S., which are maintained with a largely contractor-focused approach – and that these facilities spend approximately $85 billion per year on maintenance and repair. Do you not think that there is at least 10% (industry experts have told me it’s closer to 20%) inefficiency in how that $85 billion has been managed from a legacy perspective? That’s $8.5 to upwards of $17 billion of unlocked cost savings that FMs could uncover (and redeploy, or donate to the bottom line), with a little help from a more modern, more transparent, technology-enabled approach. In fact, with certain enterprise software platforms, facilities managers can now ‘command their ship’ with unparallelled and complete visibility and transparency. FMs today can bring more than cost savings to the table by implementing retail facilities management software. Consider how any company is viewed and its brand perceived by its customers and potential customers. Do you think that the level of quality and brand compliance/consistency can be enhanced with a more modern, tech-enabled approach? Of course it can – and the ability of the progressive FM to become a hero and an integral part of the offensive strategy and transformation has never been better! The modern FM is an integral part of ensuring any organization’s brand uptime. This role is uniquely positioned to see that the condition of the physical environment leads directly to a positive customer experience. And in today’s environment with its wealth of choice and alternatives, delivering a compelling experience is crucial to remaining competitive. Benefits for the Boardroom – Compliance Counts! Sometimes the best offense is a great defense, and there are a number of new capabilities that the progressive facilities manager can use to put the C-suite more at ease in the “next-generation” of retail. Will we be able to ensure (for the first time ever) that the services we are procuring are actually being delivered with the frequency, quality, and overall levels we expect? Are we sure that our network of contractors and service providers is sufficiently credentialed, background checked and insured? Are we sure that the effort “on site” is precisely translated into an accurate invoice? Let’s close the loop on this – technicians walk into retail locations to do work more than a hundred million times a year – and the industry has been blind to several important aspects of that transaction forever. Sorry, it’s a bit disconcerting, but it’s the flat-out truth. Long live brick-and-mortar, but let’s all contribute to its evolving to become stronger and more strategic.